! 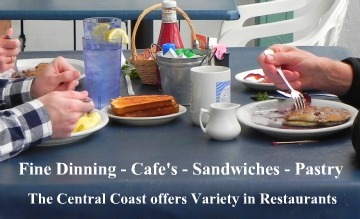 If you are looking for a great place to eat on the Central Coast of California you are in the right place. Each town in the San Luis Obispo Region of the Central Coast of California has a wide variety of restaurants to choose from. 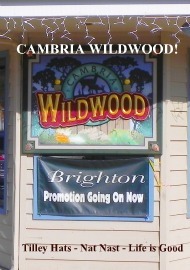 You can spend your complete vacation eating in down town SLO, Cambria, Paso and all the other towns on the coast. Believe me, great Central Coast Restaurants are in abundance. The key to finding a great place to eat is by referrals. If you will take a moment to review your restaurant of choice it might save you from being disappointed. 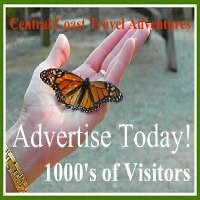 Try clicking on this link to read a review about a central coast restaurant Central Coast Restaurants Review. We live in on the Central Coast and we never tire of searching out great restaurants. What we plan to do on this page is list as many restaurants as we possible can. Our list will include burger places, fine dining and any other great places to eat on the coast. To advertise on this page contact us or look at our page on advertising prices. If you would like a review of your restaurant place contact us and we would be glad to come visit. 1. Old Stone Station Cambria Click Here. 2. 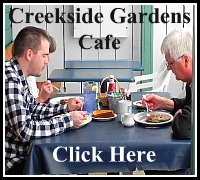 Creekside Gardens Cambria Click Here. 3. Springside Restaurant Paso Click Here. 4. French Corner Bakery Cambria Click Here. 5. Sandy's Deli Cambria Click Here.